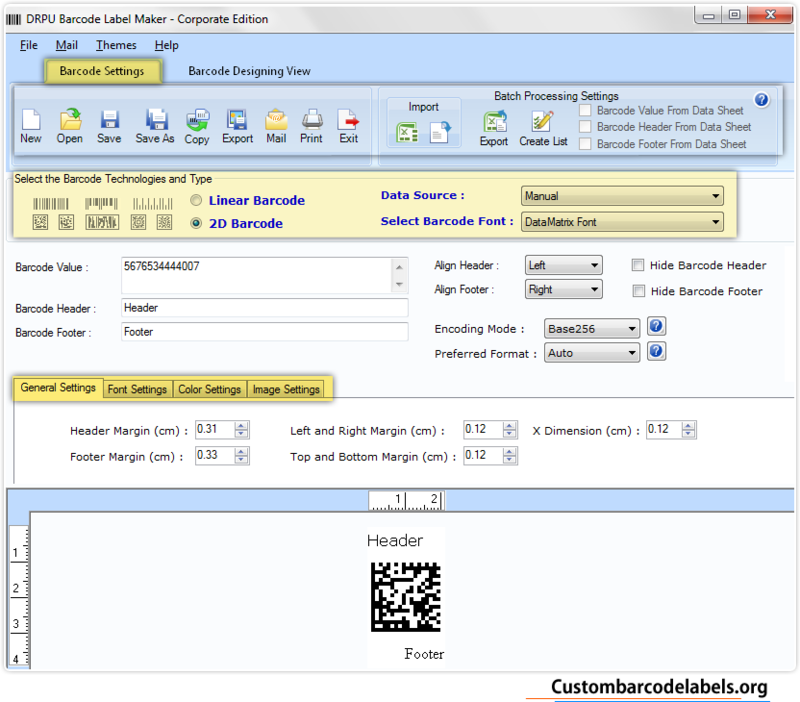 Barcode Label Tool – Corporate Edition creates barcode list using random, constant value and sequential series symbologies. Software generates printable and scan able barcode labels, tags, assets and price stickers for various industries. Software has batch processing option to create large number of barcodes instantly. Barcode Generator supports all the most popular bar code label products including Avery A4, A-ONE, Hisago, Herma, TANEX, Avery US Letter and more to print barcode images. Creates barcode labels using linear and 2D font standards. Batch Processing series option to make bulk numbers of barcode labels by different barcode and text value. Copy and paste designed barcode at Windows clipboard. Save created barcode images in major file formats (JPEG, TIFF, Bitmap, PNG, WMF, EMF, EXIF and GIF). Provides in-built Email Settings to send barcode images via email to any one.